You are currently browsing the category archive for the ‘Code Challenge’ category. 1) Al Jabra – who was wearing a white, T-shirt with 2 stripes and ripped jeans on the day of the murder. 2) Polly Gon – who was wearing a knee-length green skirt, white blouse and gold watch. 3) Lisa Perbound- who was wearing a blue Adidas T-shirt with 3 stripes on the sleeves, Bermuda shorts and a baseball cap. 4) May Trix- who was wearing a black and white pin-stripe suit with shiny black shoes. 5) Ella Ment- who was wearing a blue knitted jumper with a picture of pi on the front, and brown cords. When you have solved this clue – click here, and enter the last word only of the decoded message (no capital letters). This is inspired from the great site, Practical Cryptography which is a really good resource for code making and code breaking. One of their articles is about how we can use the Chi Squared test to crack a Caesar Shift code. Indeed, if you use an online program to crack a Caesar shift, they are probably using this technique. We first work out the frequency of each letter which we do using the Counton site. Now, to find the expected number of As in the code we simply do 162 x 0.082 = 13.284. The actual number of As in the code is 18. Therefore we can do (13.284-18)2/18 following the formula at the top of the page. We then do exactly the same for the Bs in the code. The expected number is 162 x 0.015 = 2.43. The actual number is 3. We do this same method for all the letters A-Z and then add all those numbers together. This is our Chi Squared statistic. The lower the value, the closer the 2 distributions are. If the expected values and the observed values are the same then there will be a chi squared of zero. If you add all the values together you get a Chi Squared value of ≈1634 – which is quite large! This is what we would expect – because we already know that the code we have received has letter frequencies quite different to normal English sentences. Now, what a Caesar Shift decoder can do is shift the received code through all the permutations and then for each one find out the Chi Squared value. The permutation with the lowest Chi Squared will be the solution. and a Chi Squared on this would show that this has a Chi Squared of ≈33 – ie it is a very good fit. (You will get closer to zero on very long code texts which follow standard English usage). Now, obviously we could see that this is the correct decryption without even working out the Chi Squared value – but this method allows a computer to do it, without needing the ability to understand English. Additionally a codebreaker who spoke no English would still be able to decipher this code, on mathematics alone. The Practical Cryptography site have a tool for quickly working out Chi Squared values from texts – so you can experiment with your own codes. Note that this is a slightly different use of Chi-Squared as here we are not comparing with a critical value, but instead comparing all Chi Squared to find the lowest value. Code Breakers Wanted by the NSA – A look at some other code breaking techniques. RSA Public Key Encryption – The Code that Secures the internet – How understanding RSA code is essential for all people involved in internet security. (This post assumes some familiarity with both Vigenere and Ceasar Shift Ciphers. You can do some background reading on them here first). 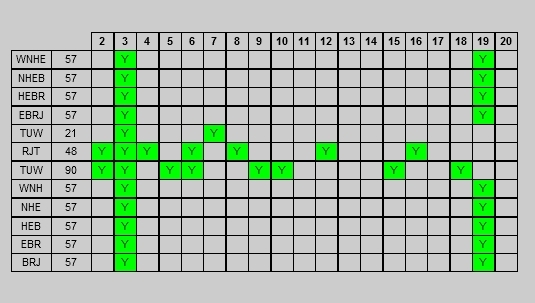 If we know it is a Vigenere Cipher encoded with the word CODE then we can create the following decoding table. How do we know what cipher to use? 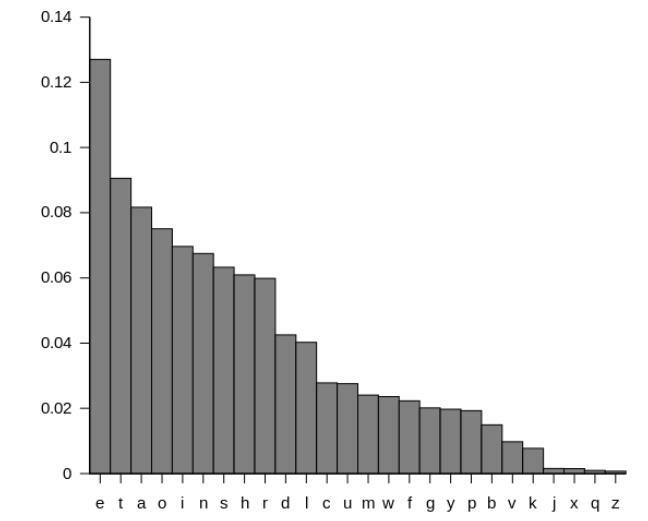 A Caesar Shift simply shifts every letter in the message by a given number of letters in the alphabet, so we would expect a frequency barchart for a Caesar Shift to have the same peaks and troughs (just shifted along). The Vigenere makes frequency analysis more difficult because it “smooths out” the frequencies – this means that the bar chart for the frequency will be less spiky and more uniform. There is also a script on the site to work out the I.C for us. If we enter our received code we get an I.C of 0.045. We would expect an I.C of around 0.067 for a regular distribution of English letters (which we would find in a Caesar Shift for example). Therefore this I.C value is a clue that we have a Vigenere Cipher rather than a Caesar shift. So, we suspect it is a Vigenere Cipher, next we want to find out what the code word that was used to generate the code table is. To do this we can look at the received code for repeating groups of letters. There is a cyclic nature to the Vigenere Cipher, so there will also be a cyclic nature to the encoded message. This clearly indicates that there are a lot of letters repeating with period of 3. Therefore it is a good guess that the keyword is also length 3. Here we have simply generated the first line by taking the first, fourth, seventh, tenth etc. letters. THE SECRET CODE IS CONTAINED IN THIS MESSAGE. YOU MUST ADD THE FIRST PRIME NUMBER TO THE SECOND SQUARE NUMBER TO CRACK THIS. WHEN YOU HAVE DONE THAT CLICK BELOW AND ENTER THE NUMBER. We have done it! We have cracked the Vigenere Cipher using a mixture of statistics, logic and intuition. The method may seem long, but this was a cipher that was thought to be unbreakable – and indeed took nearly 300 years to crack. Today, using statistical algorithms it can be cracked in seconds. Codes have moved on from the Vigenere Cipher – but maths remains at the heart of both making and breaking them. The Maths Code Challenge – three levels of codes to attempt, each one providing a password to access the next code in the series. Can you make it onto the leaderboard? 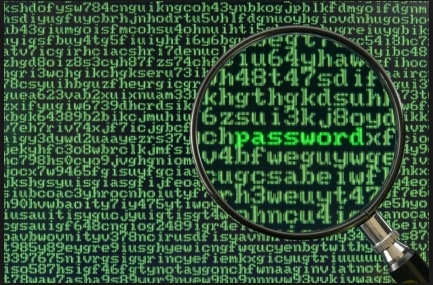 RSA public key encryption – the code that secures the internet. 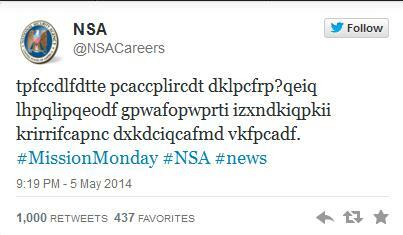 The American National Security Agency have just launched a new code breaking challenge. The tweet above is the first in their series for those interested in a career in code breaking. 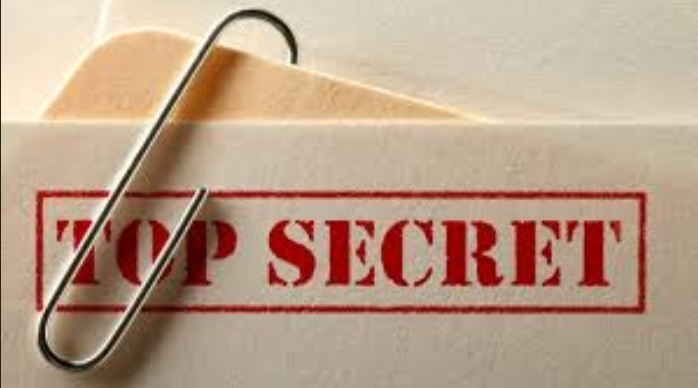 The NSA are possibly in search of some good publicity after the revelations of Edward Snowden with regards to just how much data they collect on citizens, and people who can crack all their codes may get a chance to work with the organisation. This counts how often each letter occurs in the code. We can see that the most common letters are C I and P. It’s a good chance that one of these corresponds to the letter E (the most common letter in the English alphabet). vrh as the first 3 letters – not very promising! plb as the first 3 letters – again not likely! P to E corresponds to a shift of -11. Trying this with the first word we also get gibberish. So we could continue with this method, but if we do, we’ll not be able to break the code. It’s not a Caesar Shift – but a more complicated substitution cipher, where every code letter is randomly assigned an alphabet letter. If the message was long enough, the frequency analysis would still help us. (notice that I does indeed go to E – as we thought it might do based on frequency analysis. C also goes to T and P also goes to A. Therefore using frequency analysis the 3 most frequent letters in the code word correspond to the 3 most frequent letters in the solution). Let’s see what new messages are posted next Monday. The School Code Challenge is based on a similar competition that GCHQ (The UK digital spy agency) are running. My clues will however be a little more accessible! I have created a number of codes that need to be broken. Each code will give a password. When you crack the code, follow the link and enter the password to access the next code. There are five codes in each level. After completing the final code there will be a submission box where you can enter you name. I will put up a leaderboard of all the successful entrants. There are now 3 levels of codes – Level 1 is designed for KS3 and KS4 students (11-16). Level 2 is designed for KS4 (14-16). Level 3 is designed for post 16 students (A level and IB). Can you break all levels? Scroll down to see a leaderboard of students who have completed this challenge! When you have solved this puzzle click here to enter you password and gain access to the second code. Actually, this is quite a nice gentle start to Level 2 – but don’t worry, they do get harder! When you’ve cracked it, click here for the second code. Binary strings are used as a method of transmitting data across large distances (Voyager 1 used this method to transmit pictures from Jupiter in 1979 – a massive 600 million miles away). Make a rectangular grid by factorising the length of the binary string above into prime factors to reveal a secret message. When you’ve solved it write the password (in word(s)) here. Warning – this level is not for the faint hearted! Leaderboard: Click here (and scroll down) to see a list of students who have completed this challenge! 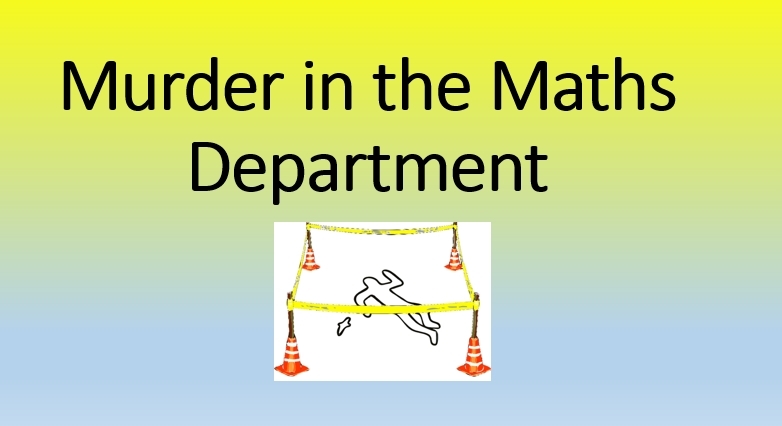 If you are a teacher and would like to run this as an in-house school competition then if you contact me I will send out the full questions, answers and code breaking pack (with student worksheets and murder mysteries etc). It is also available on TES here. 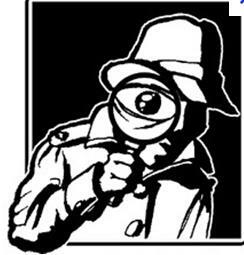 Crack the Code to Become a Spy : Information about the current GCHQ competition – with prizes to be won for those who can solve the puzzle. NASA, Aliens and Binary Codes from the Stars. A post about how pictures can be transmitted across millions of miles using binary strings.